The 180 Max SD offers a bit more room and capacity for bigger hunters and those who just prefer some extra space. The height-adjustable Surround Seat lets you sit facing the tree or can be reversed with the seat against the tree. 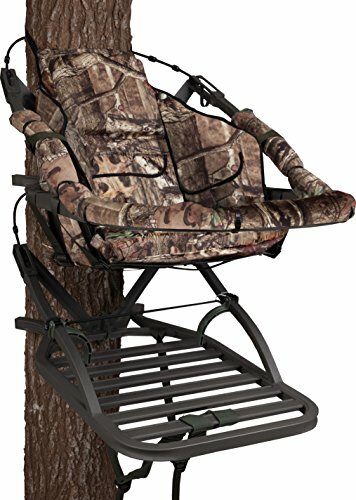 The premium quality precision welded aluminum extended top frame is ideal for tall hunters, yet keeps the weight down to a manageable 23 pounds. You will also have plenty of room to move around, the 180 Max shares the larger Titan platform. 350 pounds Maximum weight capacity.